Mama Saba has been cooking for over 40 years making some of the most delicious dishes imaginable! She created her signature pita chips with the idea of giving her family something healthy and delicious to snack on when dinner wasn’t quite ready and now her chips are known all over the Richmond VA area, and many places across the world! Healthier than most other chips and filled with a unique Mediterranean flavor. Lightly toasted pita bread with olive oil, herbs and spices have transformed what people think of as a snack chip. Great for parties with dips and appetizers like hummus. 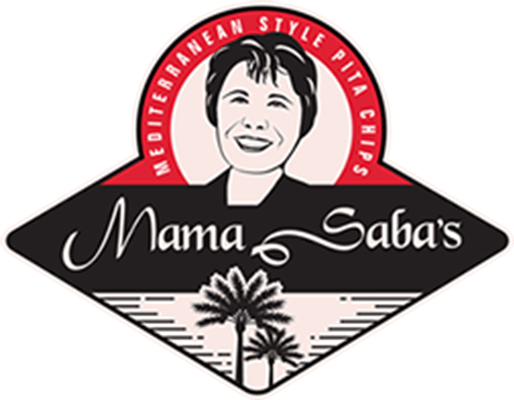 We invite you to try Mama Saba’s Mediterranean Pita Chips! Our pita chips are made in Richmond, VA using simple, natural ingredients- Flour, Water, Yeast, Olive Oil and Spices. Our Homemade Recipe Takes Lightly Baked Pita Bread, Seasoned With Olive Oil, Zaatar and Spices To Create A Uniquely Healthy, Delicious Chip! Please visit our deli or call us to purchase our Pita Chips! Option to buy online will be available soon!